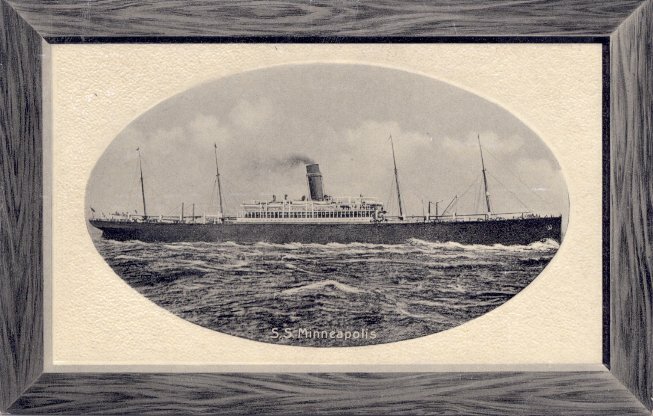 A product of Harland & Wolff, Belfast, Atlantic Transport's Minneapolis was launched in November 1899. The eldest of three sisters -- Minnehaha and Minnetonka (I) were the others -- Minneapolis made her maiden voyage, Belfast-New York-London on 10 May 1900. She then entered ATL's regular London-New York service. 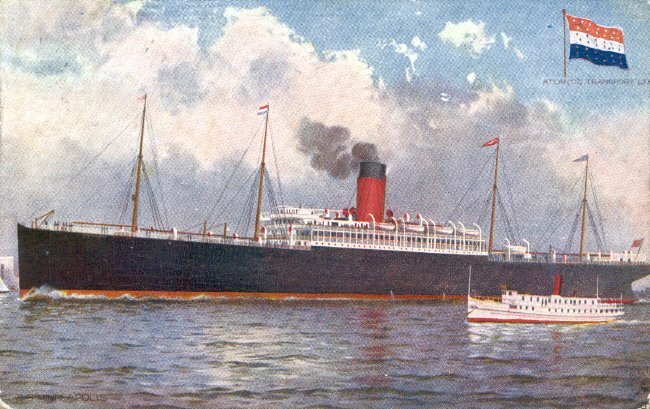 Taken over as a troop transport when World War I began, Minneapolis sank in the Mediterranean northeast of Malta on 23 March 1916, two days after being torpedoed by U 35. There were 12 fatalities among the 189 people on board. Sources: Bonsor's North Atlantic Seaway; Wiliams' Wartime Disasters at Sea.